Raymond Elementary first graders in Mrs. Doyle’s class wrote reviews about local Raymond and Windham businesses that they frequent and love. Their job was to convince others to go to the places they wrote about and to give helpful information to readers so they can go and enjoy these places too. Here’s Part 1 – Raymond. We think you should go to the Mosquito ice cream place. These are the days Mosquito is open and closed. Monday through Wednesday it is closed. Thursday through Sunday it is open from 1 to 9 p.m. Of course, it is also not open in the winter. Mosquito is at 1333 Roosevelt Trail in Raymond, Maine 04071. If you need to call them, you call 1 (207) 655-2899. These are some of the kinds of ice cream: Moose Tracks (where the vanilla is the snow and the chocolate is the tracks), lemon sorbet, orange sherbet, mint chocolate chip, French vanilla, strawberry, cherry vanilla, monkey around and cotton candy. Our favorites are moose tracks and chocolate swirl. Do you like yummy food? If you do, you should go to Good Life. It is on Roosevelt Trail in Raymond, Maine. It is open every day from 7 a.m. to 7 p.m. It is usually busiest around 1 p.m. If you want to know what’s on the menu, here it is: all kinds of sandwiches like grilled cheese, turkey, ham, salami and turkey with salami. They have smoothies like pineapple and strawberry and lots more. They also have salads. Good Life sells the best cream horns and elephant ears. Both are puffed pastry and the cream horns are filled with yummy soft cream. They have beer and coffee if you are an adult. They also sell gift cards and they have gift baskets for people’s birthdays. We give this place 15 stars! Everyone can go there, even babies! The next time you are hungry, you should go to the Good Life! Do you like Mexican food? We will tell you about A La Mexicana. It has great food! A La Mexicana is best for ages one and up. It is open most days 11:30 a.m. to 9 p.m. Monday it is closed. It is in Raymond. A La Mexicana has quesadillas, rice and tacos. It is the best restaurant ever! Our favorite things to get are quesadillas and tacos. We like them because they are good. They smell delicious and taste delicious. They smell and taste like melted cheese! Once I was at A La Mexicana for my birthday. I ordered a quesadilla. It was so good! Back to A La Mexicana. Once they had a fire. It had only a food truck for a long time. Now they have new building. It is fun and shiny! If you like to go to restaurants a lot, you should try A La Mexicana! We give A La Mexicana 100 stars! Cleanup Day at the Mill Street Little League fields is scheduled for Saturday, April 20. Any help from parents and coaches would be appreciated. General cleanup, raking, prepping the field for play, brush removal and field repairs are the plans for the morning. If you have rakes, shovels, wheelbarrow, etc., please bring them. For more information or questions, please contact, Joe Troiano at jtroiano76@yahoo.com, 207-891-7681. Chewonki is bringing its Owls of Maine program to the Raymond Public Safety Building at 10:30 a.m. Wednesday, April 17. Three live owls are the highlights of this program, which introduces participants to the owls native to Maine and New England. Participants will learn the identifying characteristics and calls of each owl. Then, using talons, wings and skulls, the class will explore the adaptations of these silent nocturnal hunters. This presentation was funded by a grant from Loon Echo Land Trust. Pre-registration is required by calling the Raymond Village Library at 655-4283. The Raymond Age Friendly group will present the results of its “Livability” survey at 2 p.m. Monday, April 8, at the Raymond Public Safety Building. Students from Saint Joseph’s College analyzed the data to ascertain what Raymond residents think is important to make the town a community where residents can age in place. The Community Connections meeting is open to all. 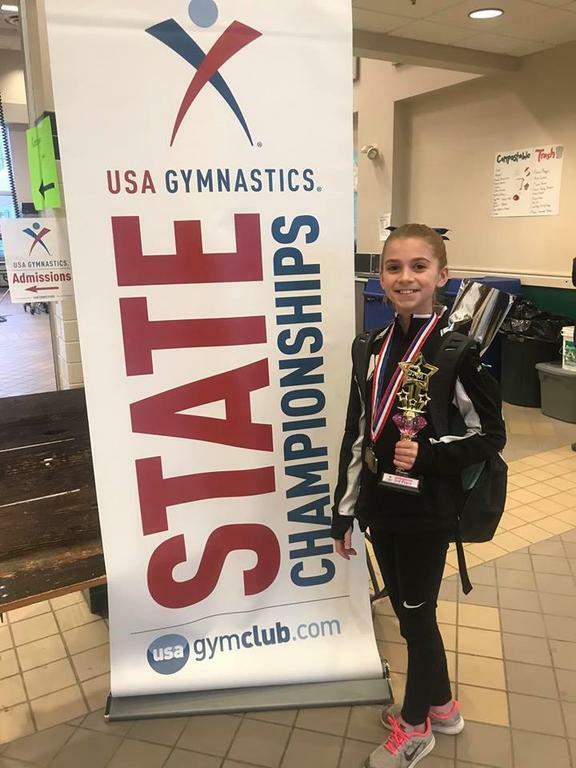 Congratulations to Nellie Feeney, a Raymond student who recently competed in the USA Gymnastics Maine State Championships. She won first place on the Balance Beam, second in Floor and third All-around. Her team placed third.